A Japanese gamer poured 2,280 days worth of playtime into this Final Fantasy XI account. That's over six years! But now, it's time to part ways. The gamer is putting his or her Japanese account on the internet auction block, giving anyone with around the equivalent of US$4,500 the chance to own it—and all the rare in-game loot that comes with it. Like what? Well, there are the Burtgang 99, Excalibur 99, Ragnarok 99, Gjallarhorn 99, among many more desirable (and time-consuming) relic weapons and empyrean weapons. Originally, bidding started at 462,000 (US$4,620), but it's since been moved down to 450,000 yen or US$4,500. As of posting, the auction has zero bids. There are three days left. 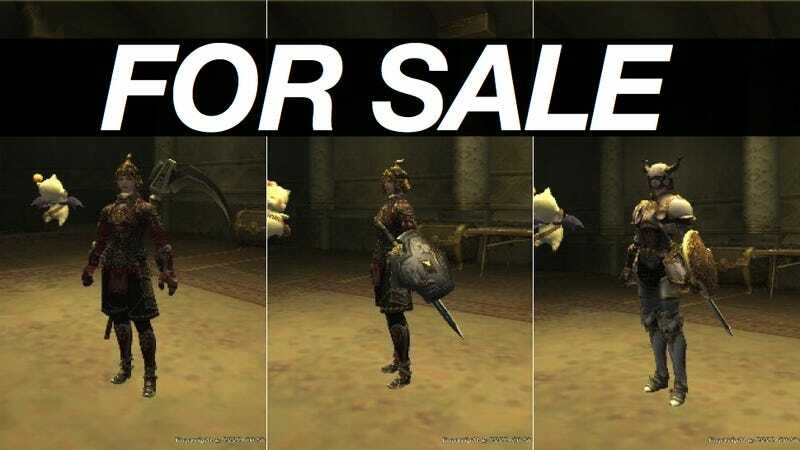 If you have a couple grand to burn and really want a leg up in Final Fantasy XI, you can always pony up the cash without ponying up six years of your life.